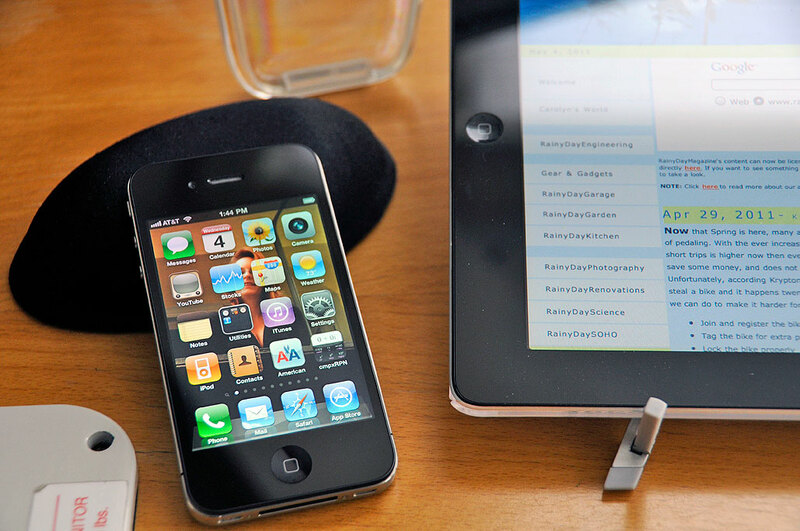 Home » iDevices » AT&T: Can you hear me now? We have been with T-Moblle for the nine years and have been very happy with their service. 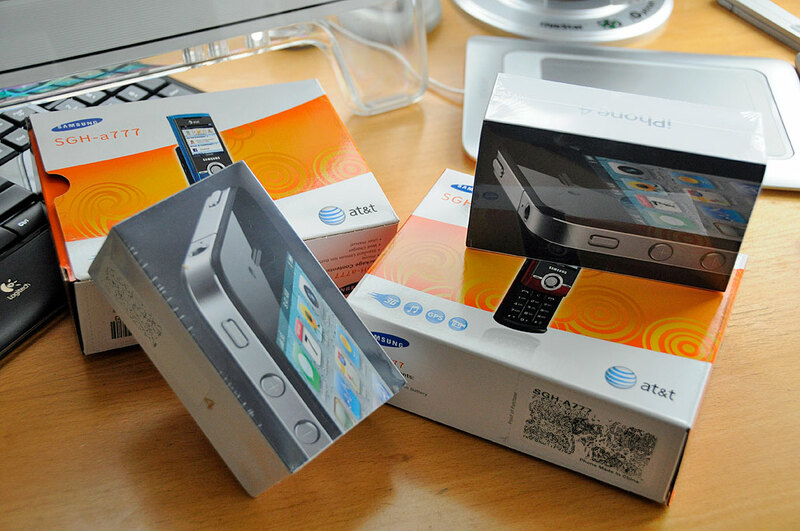 When we heard the news that AT&T had purchased T-Mobile, we were both happy and apprehensive. Happy because we finally had a justification for upgrading to the iPhone, apprehensive because of the infamous stories of AT&T’s customer service. Our Family Plan with T-Mobile had two numbers with NYC area codes and two with Boston area codes. We expected to be able to keep all of the existing numbers, and when we tried to do the conversion at the time of the purchase, the AT&T site would not port the two NYC numbers. Undaunted we called up AT&T customer service, explained to them the situation, and they said it should be no problem. They tried to do it, but were also unsuccessful. The sales person told us that once we got the phones to activate them and then call the AT&T porting service, who should be able to do it at that time. OK…we ordered the phones and waited, and waited…no phones. We knew the phones had been ordered as we saw the charge on our credit card. We tried tracking them on the AT&T site, but could not log in. After spending some time playing “phone-tree tag” with customer service, we discovered that the sales person had typed in the email address wrong…which was why we could not log in on the AT&T site using our email address. Hmmm…OK, we’ve all fat-fingered an address before. Understandable. Once things were straightened out, we got our phones in three days. We would have preferred that they sent two to Boston and two to NYC, but were informed that they all had to go to one address. OK. We can understand that. When we got the phones, we were delighted that the Samsung phones were nicer than expected. They are slim, pocketable, and well constructed. Also, we like the slider action because when closed the back protects the camera’s lens. While it is not really fair to compare the phones on features, it was interesting to note how different the “unboxing” experience was between the Samsungs and the iPhones. Taking the iPhone4 out of the box was a pleasurable experience. Very few companies–actually, we can’t think of another–are willing to make the effort to Apple’s extent. It is Apple’s fanatical attention to all aspects of a user’s experience which has made them so successful, and it starts with the first act, taking the product out of the box. Everything was orderly, neatly arranged, and visually pleasing. We felt like we were greeting a new member of the family. 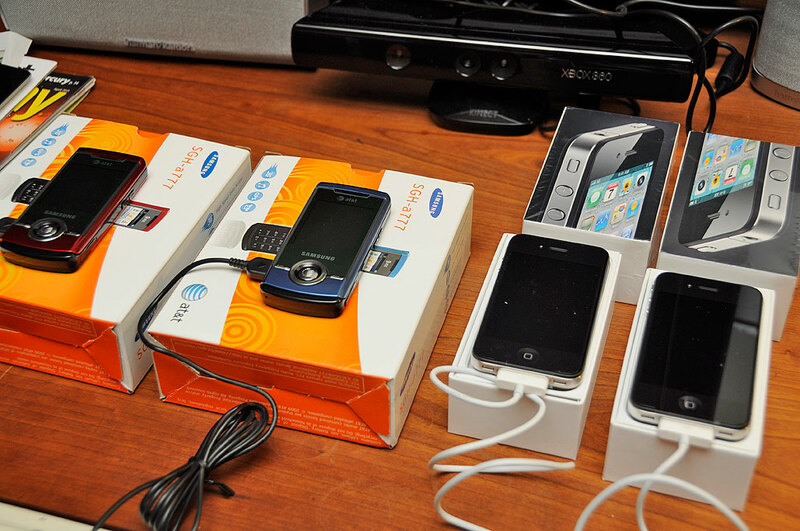 All of the phones came partially charged, but we thought it best to juice them up before going any further. Even when powered up, the iPhones required a bit more work before they could be activated. The first thing the iPhones needed was to “talk” to the “mother ship” and the only way was via iTunes. On the plus-side, all of the communications (updates, syncing, etc…) occurred without the need for action on our part. The point is that we would have gone with the AT&T service regardless of their answers. However, now we have a sour taste regarding the switch, which we wouldn’t’ve if they just said the NYC numbers couldn’t be ported to a Boston billing address. We are still willing to give AT&T a chance, and as we are bounded by a contract for the next two years, it is not like we have a choice. However, as our track record with T-Mobile shows, we are willing to stick with a good service provider, regardless of contract. We KNOW we’ll still be Apple fans in two years, but time will tell whether we’ll stay with AT&T after our contract is up.